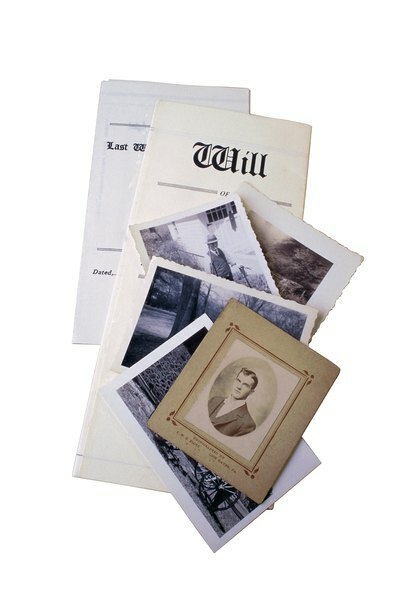 After completing the long and often arduous task of settling a decedent's estate, it may be tempting to discard any and all related documents. However, it is wise to hold on to these important documents for a little while longer, just in case some unforeseen circumstances arise. After all creditors, taxing authorities and beneficiaries of the estate have been paid, the estate may be closed. How long the process of closing an estate will take varies from case to case. Generally, anyone making a claim against the estate must do so within a specified time frame. It is possible, though, that the estate could be sued or have distributions challenged after the estate has been closed. To ensure the administrator can meet any of these challenges, it is a good idea to keep documents for a few years beyond the closing of the estate. Statutes of limitations govern how long an individual has to file a claim against an estate. Depending on the type of challenge, some documents may be discarded after as little as two years. However, even after an estate is settled, there may be challenges to the distributions by heirs who only recently learned of the death. To be able to defend against such a challenge, it would be wise to keep any documents at least seven years. The Internal Revenue Service taxes the transfer of property upon death. Accordingly, all of the property owned by a decedent must be accounted for, and the fair market value of those items must be determined. Generally, the IRS requires that an estate tax return be filed no later than nine months after the date of death. If necessary, a six-month extension may be granted if it is requested before the due date. After the return is filed and if there are no errors, the administrator of the estate can expect an Estate Closing Letter within four to six months. Receipt of this letter doesn't suggest that all tax returns can be destroyed. As an audit can be conducted up to three years after the filing of a return, tax records should be kept at least that long. Each state has its own probate rules and each estate is unique. To ensure that important documentation is not discarded sooner than it should be, it is wise to consult an attorney. If possible, the attorney who handled the planning of the estate should be consulted soon after the death. It may also be helpful to seek the advice of the accountant or tax specialist familiar with the estate and its records. Almost everyone has an estate at the time of death: An estate is simply the property the person owned at the moment of death. Most people own something, even if it is only a few personal items. However, you may not know the size of a deceased person's estate. If someone has initiated court proceedings to account for and divide the estate, you can often find out what the estate contains.